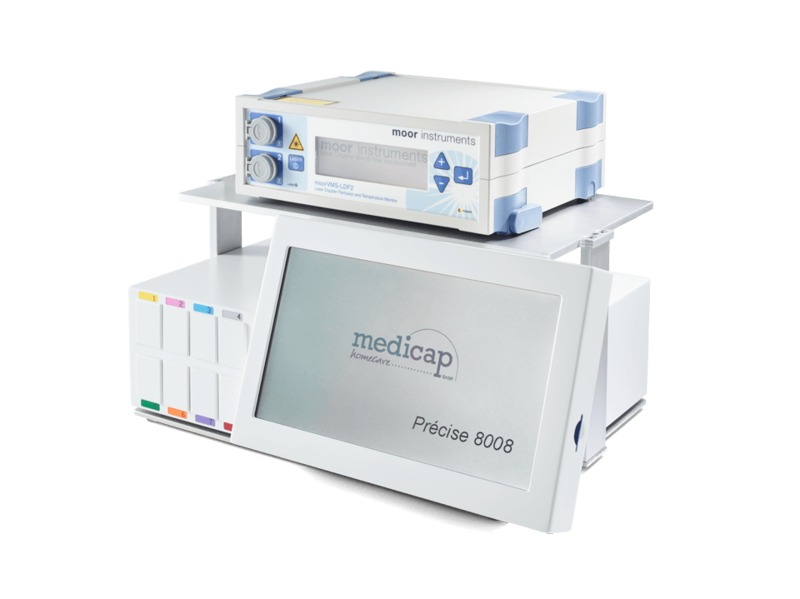 NEW Optical tcpO2 from Medicap (distributed by Moor Instruments). You may be familiar with traditional Clark electrode tcpO2, but maybe not with the new optical alternative. Why choose optical tcpO2, unique to Medicap, instead of a Clark electrode? Innovative and unique optical probe design for rapid, accurate and reliable results. Easy and convenient to use –probe does not require re-membraning (unlike the Clark electrode). Optical probe does not consume any oxygen (unlike the Clark electrode) leading to more accurate results. Calibration free and automatic compensation for atmospheric oxygen (unlike the Clark electrode). Economical – lower start-up costs and reduced consumable costs. Time saving – no calibration or re-membraning. To find out more, click here and do not hesitate to contact us for an on-site demo / loan.